Homeschooling autism and other disabilities can feel daunting so it's great to read about someone who has turned her family around because of her decision to take her children out of school. This guest article about homeschooling autism and other disabilities is by Erika Lye who teaches her three children at home. Can I just say, I absolutely love this article. So honest and so striking! 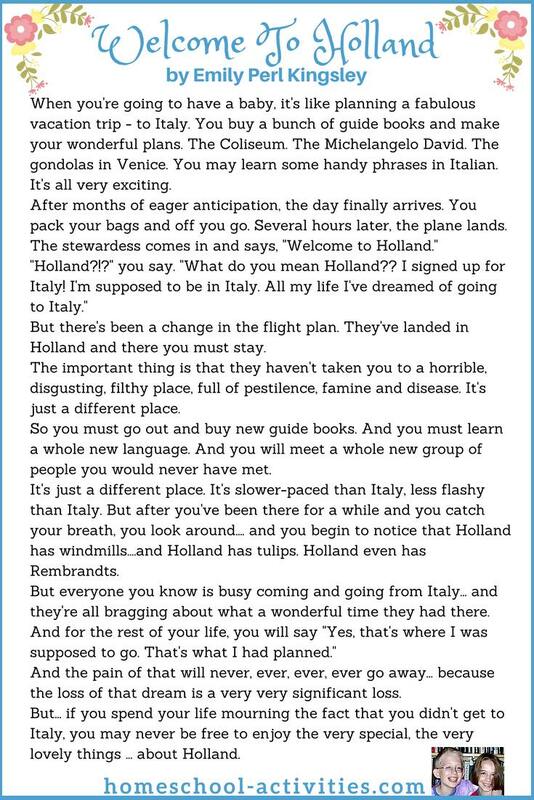 A lovely read! Very, very well done indeed. And so many of us must feel just like Erika; after all school is the place you are meant to send your children to be educated and cared for. But, especially when it comes to a child with special needs, you may well find that school is NOT the best place for your child. anger and destruction and the Sunday night upset stomachs. The phone calls from school and the meetings with teachers where I'd come away feeling like the worst mother in the world." After Erika's son was diagnosed with autism age 8 she had a meeting with her son's teacher. You can see more facts on this page about home education and autism with Emma's story about teaching her autistic son. "(When) our third son was born..we all knew he was going to be the most autistic of our three boys...(We had) numerous meetings with professionals discussing what our youngest would need in terms of educational provision (a quiet environment, with one-to-one sensory time frequently throughout the day, highly trained staff in the different therapies) and we started thinking there must be some alternative to school. You see at this point, our eldest (age 12) was being let down and denied these provisions. Every single day there was some new problem we were being called to the school for. We also had our middle son who had been diagnosed with cerebral palsy, autism and moderate learning difficulties and...now at age 7 he was being moved to a new school into a bigger learning support class because he was seven. a few names of the 8 classmates he had had for three years, and despite the fact that children with autism need routine and continuity – he was being expected to cope with this upheaval. "One late September morning my husband finds me having a full blown panic attack because I am terrified of going into my eldest son's bedroom because I honestly didn't know if he was going to still with us. just wanted friends, had been making plans to end his life as he just couldn't cope any more. Age 12 and suicidal – this isn't right." "There are many different challenges you face not only as a parent of a disabled child, but when you are homeschooling autism it brings a whole new set of challenges. So I asked Erika to share some tips on how she goes about homeschooling her children with special needs. You'll find you'll need to adapt or seek alternative educational resources. I've gone through so many laminators I really think the next one should be free! “Just breathe. You can do this. School didn't work for your children, like it didn't work for mine, so replicating it at home isn't going to work either. Just let all of you breathe, let yourself and your children discover who they are again and you'll see when they are ready and how best to go." Go on as many training courses for equipment and therapy as you can but use your own judgement when it comes to investing in them for your children. You know your child so don't be swayed by all the jargon they try to sell things as the miracle cure. Your child doesn't need a cure, they just need a different way of learning. "When you find yourself frustrated and doubting if you made the right choice (we do that all the time!) my advice is get over your camera phobia. Seriously, I hate the camera but I have come to understand how important it is for my children to video and photograph what you are doing. That way you can look back and see just how far both you and your children have come. It's also really important for your children for when you are no longer with them...So make friends with that horrid camera, not for you but for your children. Remember you and your children are at greater risk of being isolated as play dates and get-togethers are harder to work out. There will be times when you will be hit by sadness when you witness other homeschoolers shiny moments and play dates seem just out of reach (social media really isn't our friend at times). If you feel that there are no support groups or homeschool groups that meet your children's needs, either travel or do what I did and start one up yourself. It's been a year since forming Mountain Movers and I didn't expect it to take off like it has. 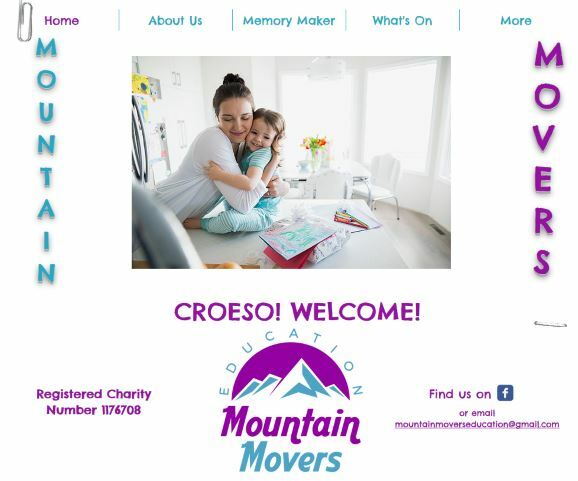 It's been eye opening to find so many other families in similar positions who have welcomed and come to rely on Mountain Movers. It's not just the kids who need it, the parents need it to. We started by registering as a Charity and we hope we can help as many families as we can on this different yet awesome rainbow path of life homeschooling." "Our middle son is now 12 and really coming into his own. Learning is extremely difficult for him as he struggles with retaining information so we have to repeat things (over-learning) but he switches off if he's done it before so I am always looking for new ways and activities to learn the same thing for him. Our youngest son is nearly 9 – where does the time go? He is still non-verbal and driven by the need to satisfy his sensory needs. We have had to privately fundraise for an AAC device to help him communicate which he loves using. He is like a sponge, he loves learning, taught himself to read. I always feel like I'm running to catch up with him (literally as well as educationally)!" "There are often times where I wonder did I make the right choice for the kids? But when you look back at where I was within the school system, there's just no comparison. "Our job is to help our children become as independent as possible. This is the heart of home schooling with autism. You won't be around forever and you need to help your child to be as self reliant as possible, even if they can never live independently. “Who is more invested in my child's future and success? An overworked teacher who doesn't have the training or the resources to help my child, or his mother who is devoting her life to that goal?" Autism Speaks (US) has a resource guide where you can select your state and all the listings in that state will appear. National Autistic Society (UK) provides support and information and campaigns for a better world for autistic people. The Autism Society (US) offers advocacy, education, information, support, and community at national, state and local levels. Thank you so much Erika for sharing your homeschooling story with us.